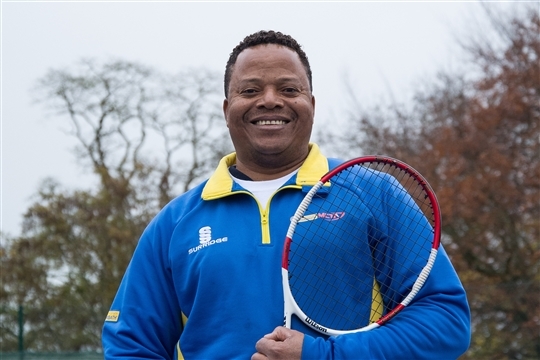 From April 13th 2019 the coaching will be delivered at our club in Frome by Team Bath Tennis, who are based in Bath University’s £30 million Sports Training Village. Young tennis players coached by this team train alongside world and Olympic top tennis names like Davis Cup player Liam Broady, Anna Smith and Samantha Murray, the latter two having represented Great Britain in Fed Cup. Soon you will be able to take advantage of this quality coaching from Team Bath on our courts in Frome. Stephen has experience in a number of areas in the tennis business from administering and tutoring Tennis Play and Stay programs, coaching and running Mini Tennis Tournaments, coaching total beginners to training tournament players on the ITF. JR. Circuit, managing and maintaining a tennis facility, staff training, tennis promotions and membership drives to implementing junior and adult programs, an ITF. JR.
Frome Selwood Tennis Club provides half-price coaching for juniors of age 4 to 18 from low-income families. We also provide free club membership for these children. If you are a parent or guardian that qualifies (or is likely to qualify on starting school) for Pupil Premium funding, then you are likely to be eligible for the scheme. Please speak confidentially to Stephen Marcelle and tell them that your child has qualified (or is likely to qualify) for Pupil Premium Funding. There will be no need to provide any written evidence. Half-price club membership is also available for adults from low-income families (see the club web site for details) so you could join as a family at significantly reduced cost. Or; why not get a Community Season Ticket for just £50 a year and play whenever you like on the Community Courts?